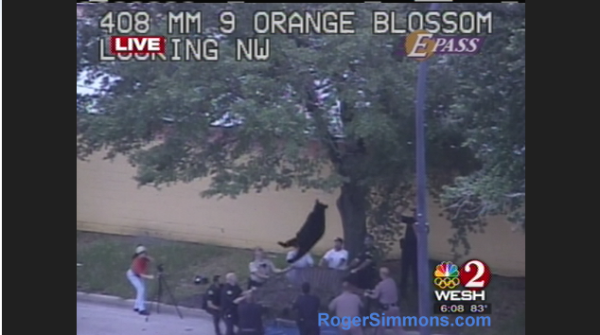 WESH 2 News' view -- courtesy of a DOT camera -- of the young bear falling out of a downtown Orlando tree on Friday evening. 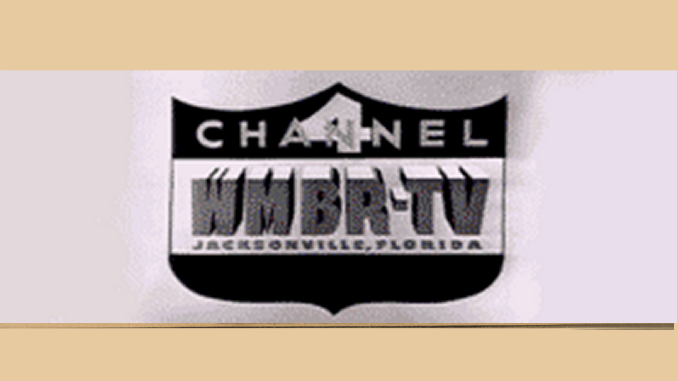 It was breaking bear news you can use on Orlando’s big four TV news stations Friday night. WESH, WFTV, WKMG and WOFL all spent nearly the first 10 minutes of their 6 p.m. newscasts waiting for a young black bear to fall out of a tree. Holy, Goldilocks! The bear was spotted in downtown Orlando near Orange Blossom Trail and State Road 408 around 12:30 p.m., according to the Orlando Sentinel. At 6 p.m., wildlife officials shot the bear with a tranquilizer gun. Some eight or nine minutes later, it came plunging out of its tree and into a net held by local law enforcement officials. Orlando Sentinel: Anytime, Any Bear, Any Way You Want It.